Rohit Sharma is set to play his 200th one-day international match against New Zealand on Thursday. In Virat Kohli’s absence Rohit Sharma will lead India in the fourth ODI against the Kiwis. Rohit will become the 79th player to achieve the milestone in his career. Only two players had scored more runs than Rohit’s 7799 at the same point in their career. Virat Kohli had 8767 runs after 199 ODIs and AB de Villiers had 8520 runs. Having made his debut in 2007, his career was in tatters for a good six years. 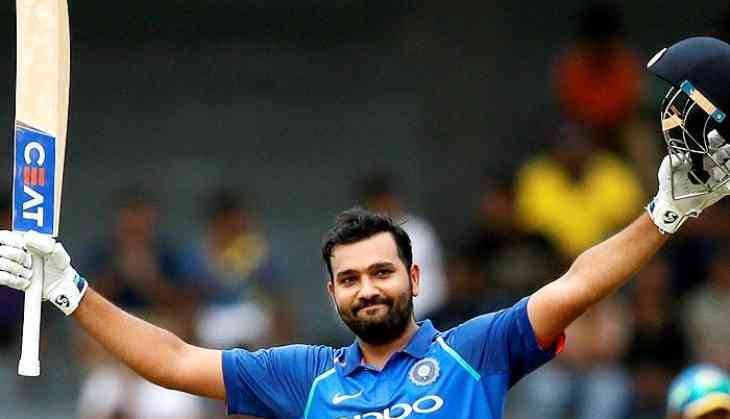 In 86 ODIs that he played Rohit had just 2 hundreds and averaged just 30, but everything changed since MS Dhoni moved him to the top order following the exit of Virender Sehwag and Gautam Gambhir in 2013. As far as 2019 series is concerned, India have clinched the five-match ODI series by 3-0 as they won the third match by 7 wickets. Indian openers Rohit Sharma and Shikhar Dhawan had a good start with the bat with Dhawan making 27 balls 28 runs before giving a catch on the slips off Trent Boult’s ball. Rohit Sharma and Indian captain Virat Kohli went on to make a hundred run partnership before both of them fell one by one in the gap of 16 runs. Sharma made 77 balls 62 runs while skipper Kohli made 74 balls 60 runs. Dinesh Karthik and Ambati Rayudu came in and took India to the finishing lines. Both of them played important knocks for India as Karthik made 38 balls 38 runs and Rayudu made 42 balls 40 runs. For New Zealand Trent Boult was the highest wicket taker as he took 2 wickets from the 10 overs he bowled giving away just 40 runs. New Zealand were bundled out for 243 in 49 overs and put up a target of 244 for India. Ross Taylor was the highest scorer for the White Ferns as he hit 106 balls 93 runs including 9 boundaries. Tom Latham too scored an half-century for his team as he hit 64 balls 51 runs. The next match will be played on January 31 at Seddon Park, Hamilton.